Set in 350 acres of beautiful parklands off the A33 between Basingstoke and Reading, on the Hampshire Berkshire border,with easy access from both the M3 and M4, Wellington Country Park offers a safe, open air, fun filled venue for all the family. Be it for a day out or for just a few hours, Wellington Country Park really does have it all. 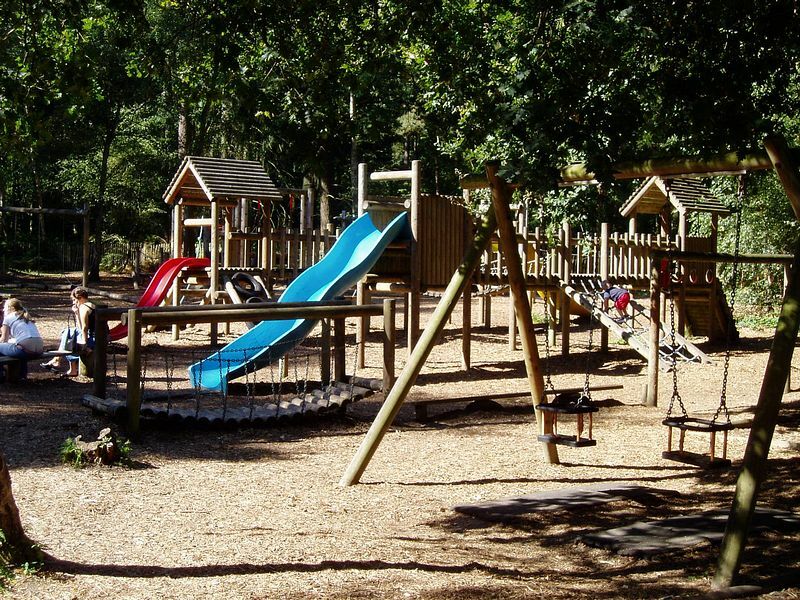 There are adventure several play areas, toddler's area, sand pits, slides, miniature railway (extra charge), nature trail maze, animal farm and petting barn(seasonal), enchanted forest, water play, crazy golf and an assortment of play equipment to climb on and in; all to keep the kid's busy. vast array of wildlife in their natural habitat. One gives you the opportunity to get up close to our herd of Red and Fallow deer. Surrounding our beautiful 35 acre lake is the perfect location for a family gathering for a picnic or BBQ. On the other hand, if you want to relax and enjoy your day, you can eat in our cafe. On offer we have a full selection of hot and cold drinks and snacks and then you can browse round our shop for that special toy, game or gift. During the season, we have over 70 special in-house events and fun days held at the Park, all of which are included in your entrance price and free to join in. Even your dog is welcome but we do ask that you keep them on a lead and under control at all times. We also ask as their owner that you clear up after them! Want to stay for more than a day? Why not consider our touring Camping and Caravan Campsite. Book on one of our 72 pitches, all situated within the beautiful woodlands within the Park. 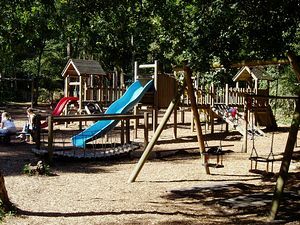 Your facilities include toilets, free showers, shaving points, hair dryers and laundry and campers also have 'FREE' access to all the Park facilities. Wellington Country Park Campsite is set within beautiful woodland glades and offers you the opportunity to pitch in wonderful natural surroundings. Be it for a destination holiday or just a day out, Wellington Country Park really does offer it all. Check the website for full information, prices and event details. Wellington Country Park and Campsite is situated on the Hampshire / Berkshire border between Reading and Basingstoke. The main entrance to the Park and Campsite is off the roundabout. When entering the post code into your SAT NAV, it will take you to the central point of the post code. To stop this from happening, please enter either Odiham Road or B3349.